…and that’s a wrap! WSPC has officially completed our summer FryDay program. Over the last two months, we have had the opportunity to travel across the state and share FREE Washington fries with excited community members! We visited many different cities on our tour including Moses Lake, Redmond, Ritzville, Othello, Mount Vernon, Sedro-Woolley, Leavenworth, and Quincy. We passed out over 1,750 pounds of potatoes in just a two-month period! The purpose of this tour was to promote Washington agriculture and inform the public on just how awesome Washington potatoes are! Without a doubt, WSPC staff achieved our goal and made the program a total success! Tons of people throughout the state learned about Washington agriculture, took home some potato swag, and were able to enjoy our mouthwatering product donated by McCain Foods and Lamb Weston! Staff members were pleased to see community members showing so much excitement for Washington potatoes. Attendees LOVED our Spud Nation fry truck and trailer, many people wanted to take pictures with it! 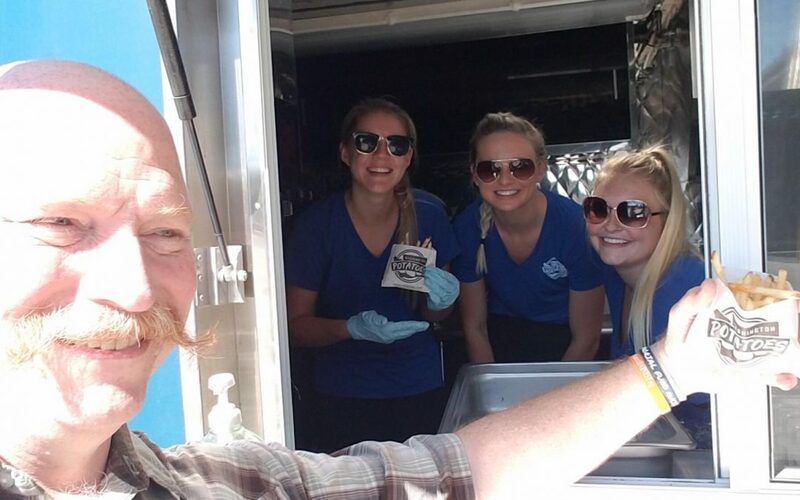 Karl de Jong of Sedro-Woolley even posed for a selfie with WSPC staff members! 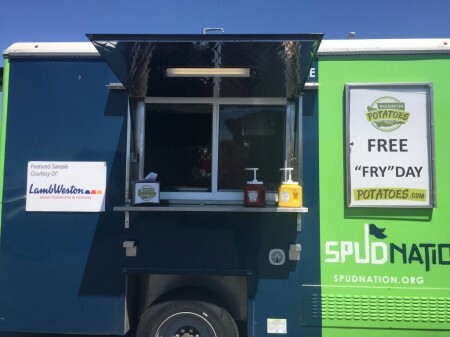 Without a doubt, our summer FryDay program allowed us to spread the word about Washington spuds, and make everlasting connections with our community members.